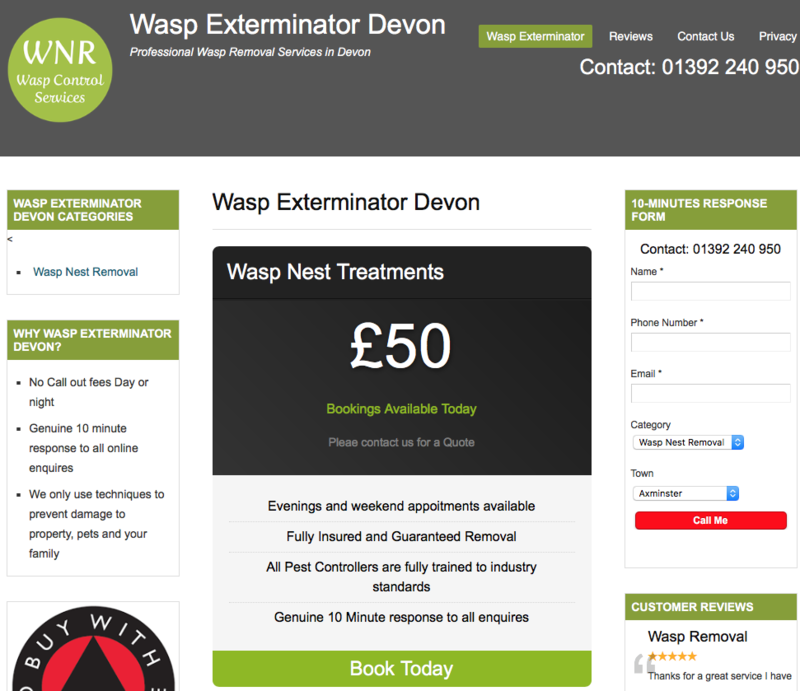 We developed this website for Shaw pest control services for Wasp nest removal in Devon. This site has fast SMS Enquiry submission for fast response to a reactive market place and is mobile responsive. 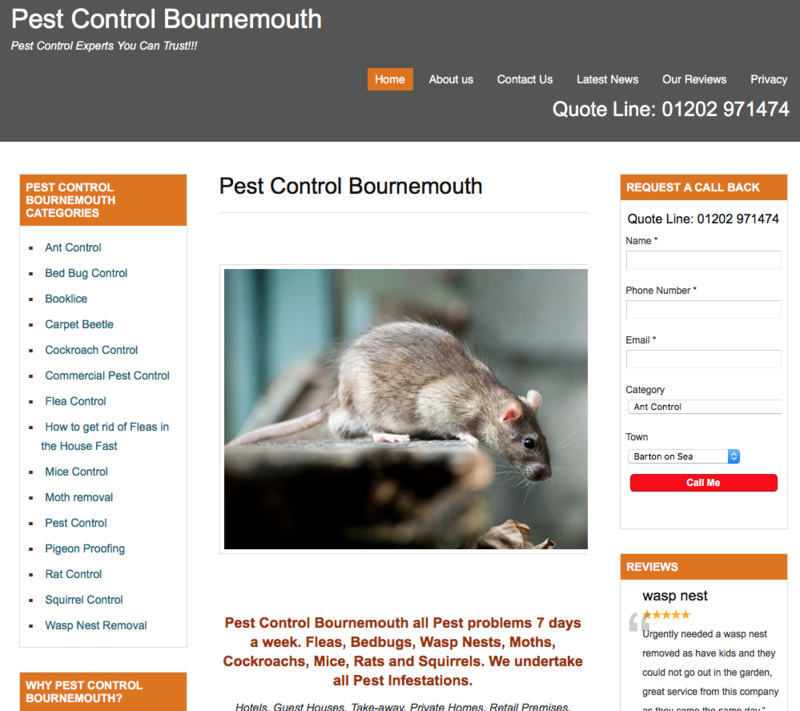 We developed this website for Best Pest busters in Bournemouth for Pest Control in Bournemouth and Dorest. This site has fast SMS Enquiry submission for fast response to a reactive market place and is mobile responsive. 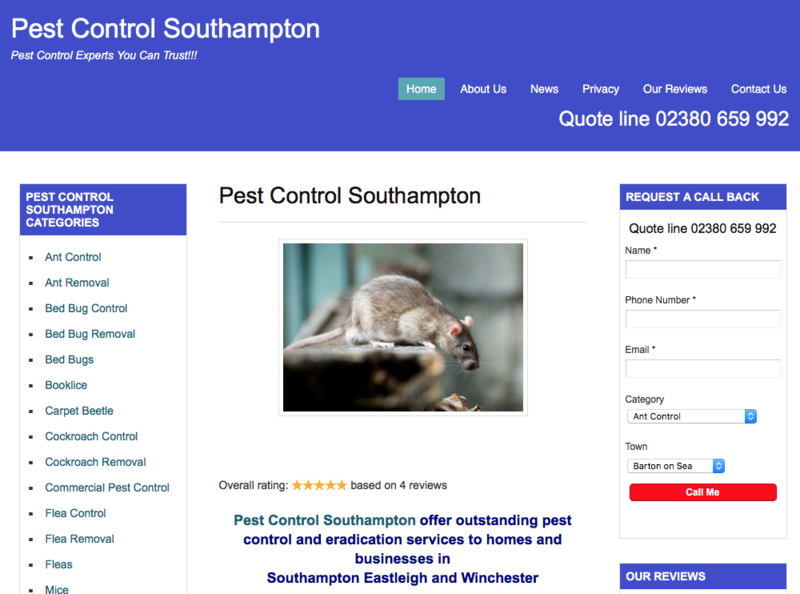 We developed this website for Best Pest busters in Southampton for Pest Control in Southampton . This site has fast SMS Enquiry submission for fast response to a reactive market place and is mobile responsive. 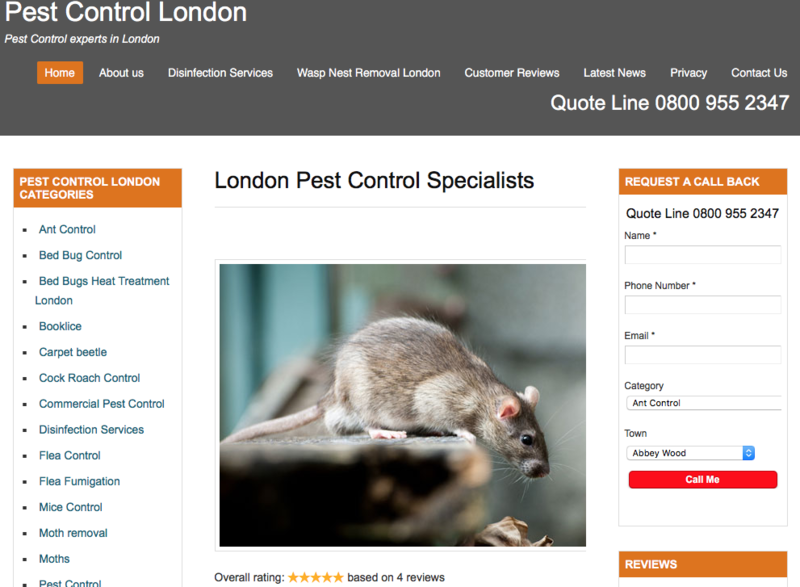 We developed this website for Willisden Pest Control in Southampton for Pest Control in London . This site has fast SMS Enquiry submission for fast response to a reactive market place and is mobile responsive and has customer review management. 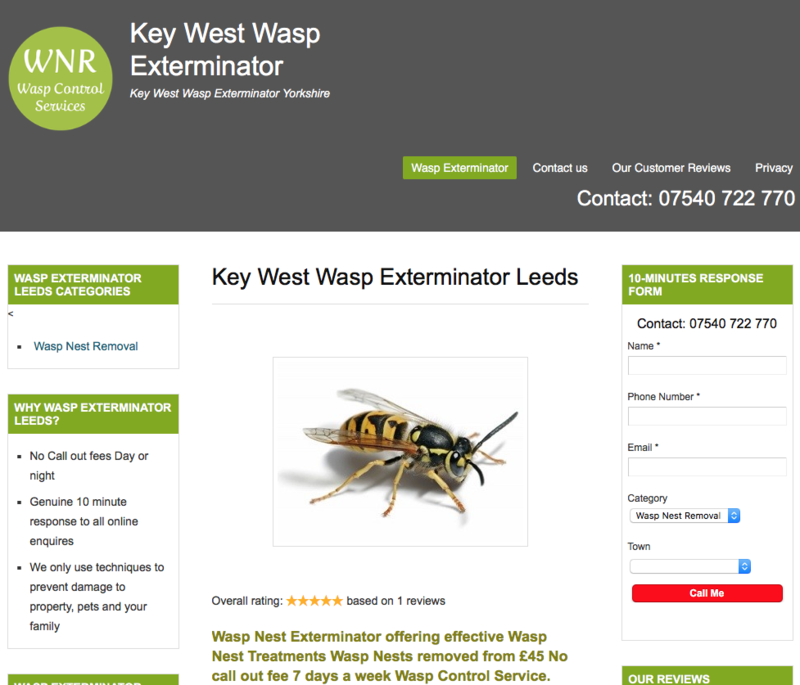 We developed this website for Key West pest Control in Leeds for Wasp nest Removal in Leeds . This site has fast SMS Enquiry submission for fast response to a reactive market place and is mobile responsive and has customer review management. 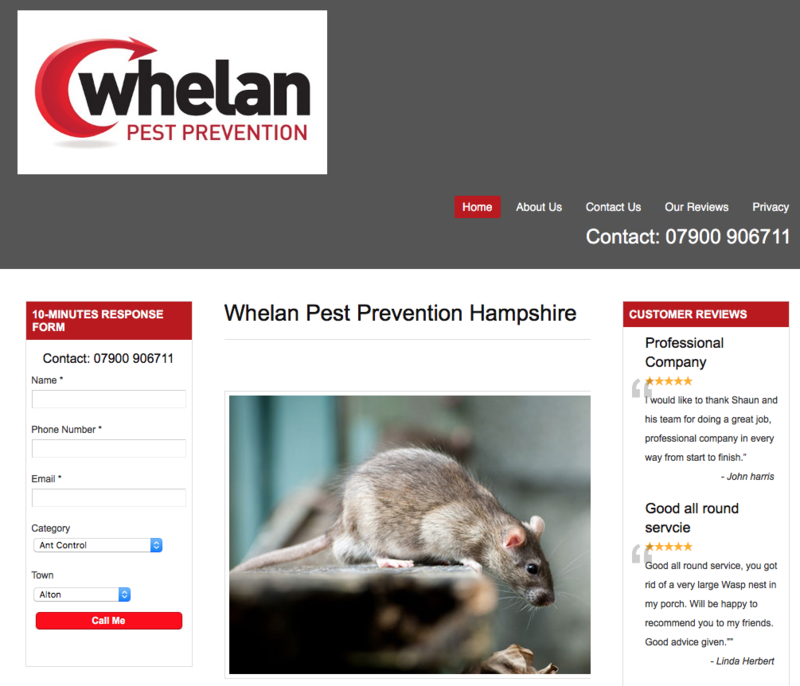 We developed this website for Whelan Pest Prevenationl in Hampshire for Pest Control in Hampshire . This site has fast SMS Enquiry submission for fast response to a reactive market place and is mobile responsive and has customer review management. 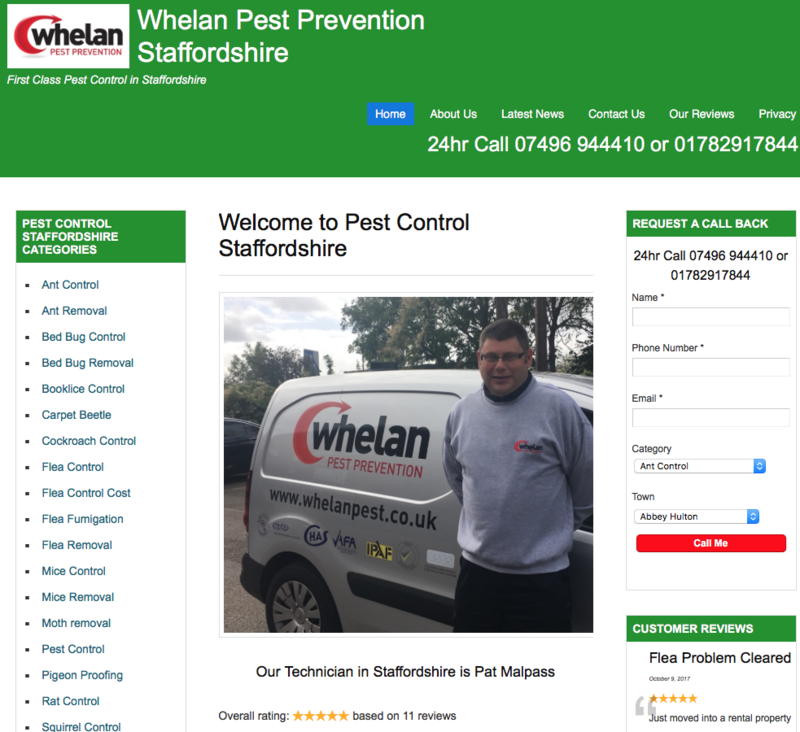 We developed this website for Whelan Pest Prevenationl in Staffordshire for Pest Control in Hampshire . This site has fast SMS Enquiry submission for fast response to a reactive market place and is mobile responsive and has customer review management. 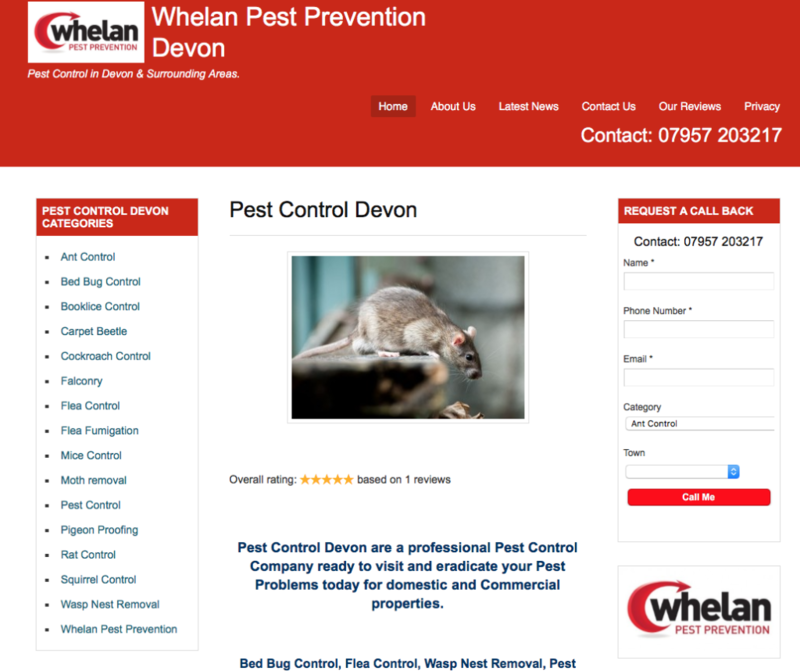 We developed this website for Whelan Pest Prevenationl in Devon for Pest Control in Devon . This site has fast SMS Enquiry submission for fast response to a reactive market place and is mobile responsive and has customer review management. 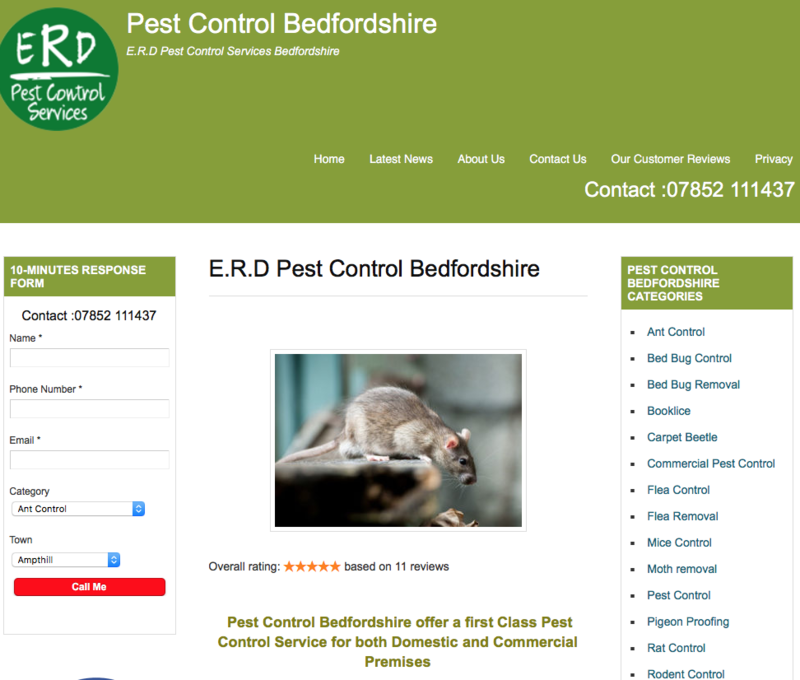 We developed this website for ERD Pest Control for Pest Control in Bedfordshire . This site has fast SMS Enquiry submission for fast response to a reactive market place and is mobile responsive and has customer review management. 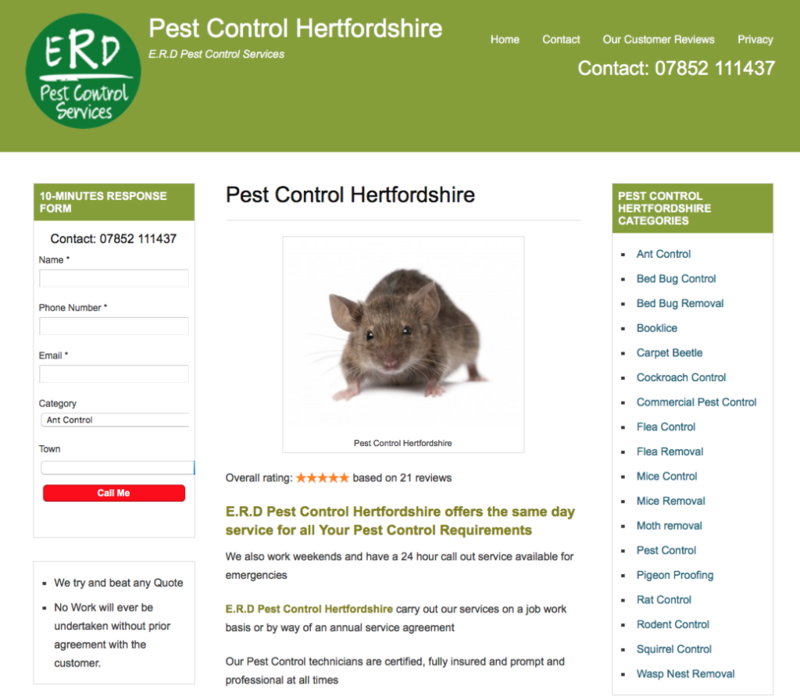 We developed this website for ERD Pest Control for Pest Control in Hertfordshire . This site has fast SMS Enquiry submission for fast response to a reactive market place and is mobile responsive and has customer review management. 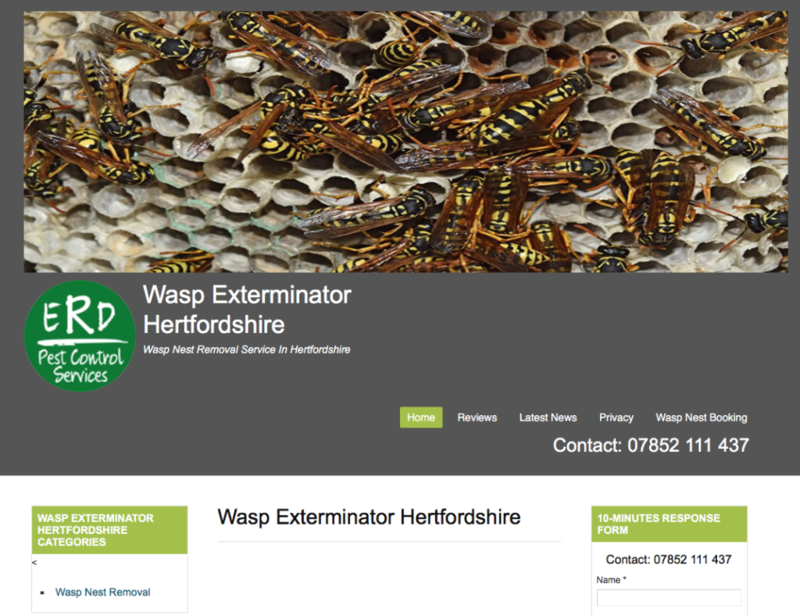 We developed this website for ERD Pest Control for Wasp nest removal in Hertfordshire . This site has fast SMS Enquiry submission for fast response to a reactive market place and is mobile responsive and has customer review management.